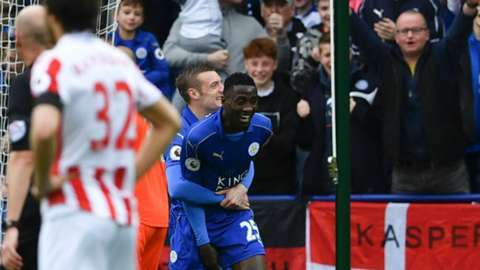 The Premier League Champions Leicester City where again excellent against Stoke, giving them a taste of the King Power Stadium as they have been doing since the departure of Claudio Ranieri but what was more exceptional was Ndidi's first Premier League goal which indeed was off the hook. 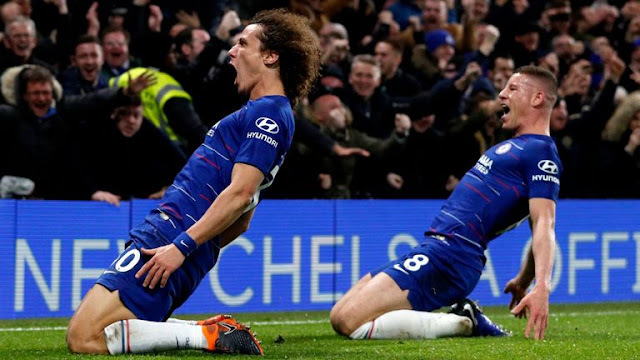 The foxes took the lead with an exceptional distant shot in the 25th minute by the Nigerian Ndidi which was their reward for a good performance in the opening stages, the shot which curled behind the keeper Lee Grant into the top corner. The foxes doubled the lead after a series of chances, Jamie Vardy took advantage of poor defensive positioning of their visitors, beat Glen Johnson and volley home for the doubler. A consolation for the visitors by Marko Arnautovic was wrongly ruled out by the referee for offside which induced more frustration for the visitors. More chances were wasted by the visitors after and a perfect defending and good goalkeeping by goalkeeper Lee Grant kept the Foxes from scoring again till the final minute. The win by the Foxes makes Craig Shakespeare the first British Manager to win his first four Premier League games in charge and also this bullet the Foxes to 13th position on the League Table and six above the Relegation Zone. "I always thought there was moments in the game where Stoke came back into it. "I always thought the first goal in the game would be crucial. It gave us a foothold in the game. The second goal just after half-time gave us that confidence to go on and win the game. "We're still not safe. I'm really not looking too far ahead - we've got to concentrate on each game and there's still a lot of points of play for. We're on a good run and full of confidence but we've got another tough game against Sunderland. On his record: "I am proud but I'm proud for everyone associated with the football club, especially the players." "We didn't perform. What you don't want to happen is to go behind against Leicester. It becomes more of a basketball game, end to end, and we ended up chasing the game. "Whatever we said at half-time didn't work because straight away we conceded the second. From that moment it was difficult to see a way back for us. "We never produced the quality that was required. It was not a great day for us and we didn't make it hard enough for Leicester. We've got a difficult fixture against Burnley and we will have to be better than we were today."